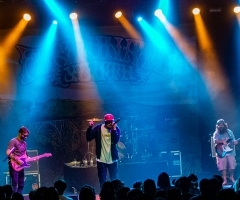 On November 21st, Fortunate Youth’s West in Peace Tour with Josh Heinrichs, Skillinjah and The Movement made a stop at The Novo in downtown Los Angeles. Josh Heinrichs got the night started with an intimate acoustic set joined by Dread Kennedy and Pat the Cat. Part of the way through the set, Skillinjah came out and his energy, I have to say, put on one hell of a set. Next was The Movement and they cranked up the energy to get everyone dancing the night away. 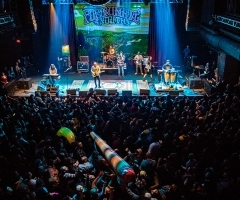 Fortunate Youth came on and had an amazing high-energy set that fans are accustomed to. 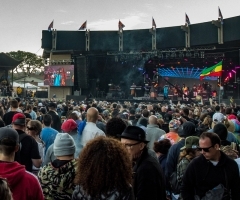 Finally, Fortunate Youth came on and had an amazing high-energy set that fans are accustomed to. 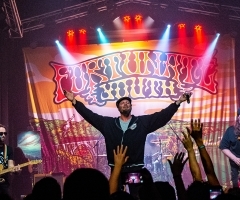 I always love going to Fortunate Youth shows and seeing how much these guys love their fans; they really show that in the performances they put on and how they interact with their everyone in attendance. The clouds of smoke really started blowing when We Should Smoke got onstage, with his usual torpedo blunts to pass around!